Trains are the best way to travel in Italy. In Italy, the shortest (and cheapest) distance between two points is usually lined with railroad tracks. The train is the preferred mode of travel by everyone, from farmers and grannies to businesswomen and visitors. Italian trains run on time, are clean and comfortable, and have a vast network that covers almost every minor city. This section covers in depth the Italian rail system, train tickets and railpasses, train stations, safety onboard Italian trains, the trick of taking overnight trains to save time and money, and tips for saving money on your rail travel. You can click on those links above for detailed information on each subject, or just scan the quick take of top tips listed below, a collection of all the vital info you really need to know to ride the rails in Italy. Almost all Italian trains operate under the aegis of the Ferrovie dello Stato, the State Rail System. You can get detailed timetables and ticket prices at www.ItaliaRail.com or www.trenitalia.com. Be sure to use the Italian spelling for city names in the search engine, listed on the right, along with the name for the central, main station you'll want in the big cities. You do NOT need to book train tickets ahead of time. At least, not before you leave on your trip. Just buy as you go; it gives you more flexibility with your schedule. 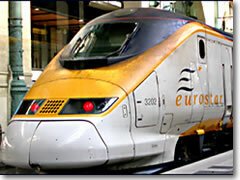 It is, however, sometimes useful to pop into the station and buy an ongoing tickets a day or two before you leave town, especially for high-speed trains that require a reservation, as these will occasionally sell out. Always travel second class. The first class cars don't get there any faster; all they do is provide a teensy bit more seat padding—but at 20%–30% increase in price. Be sure you stamp one end of your ticket at one of the little yellow boxes usually located in the passageways leading to the tracks and strapped to a column at (or near) the head of each track. If you do not, the conductor may fine you (they sometimes give tourists a stern warning, but more and more they are simply imposing the fines regardless). Don't drink the water on trains, not even to rinse your mouth. It's greywater meant for hand washing only. This is a bit frustrating, since trains—especially overnight trains—dehydrate you quickly. So make sure you bring bottled water to sip throughout the ride and also to rinse out your mouth (and your toothbrush) after an overnight train ride.